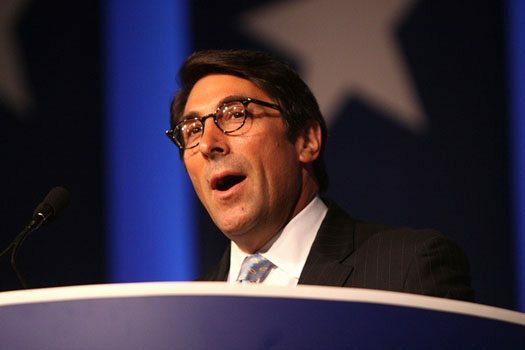 Jay Sekulow’s name and face have been familiar to evangelical Christians and conservatives for many years as head of the American Center for Law and Justice (ACLJ) and a recurring guest on Pat Robertson’s 700 Club television show since the 1990s. (Robertson founded ACLJ in 1990.) He hosts two syndicated radio shows on terrestrial radio and on SiriusXM, one of which has been broadcast by 550 radio stations for more than a decade. This week, The Guardian reported that the attorneys general of North Carolina and New York have announced separate investigations into the telemarketing practices of Sekulow’s charities. As The Hill observes, Sekulow’s recent public profile growth as Trump’s lawyer has drawn increased scrutiny to his personal and professional activities. Current scrutiny focuses on the same areas chronicled in 2005—a network of nonprofit organizations performing legal but aggressive fundraising tactics while Sekulow, his family members, and senior leaders of his charities enjoy lavish lifestyles and high salaries. Scrutiny has focused on ACLJ (GuideStar profile) and Christian Advocates Serving Evangelism (CASE) (GuideStar profile), founded by Sekulow in 1988. The most recently IRS Form 990 information indicates that CASE has annual revenues of about $50 million, $31 million of which come through direct mail and telemarketing activities. ACLJ has annual revenues of $19 million. CASE’s 2015 Form 990 reports Jay Sekulow, along with Jordan, Pam, Gary, and Logan Sekulow, as officers and trustees. Adam Sekulow is CASE’s director of development and listed as a highly compensated employee. Gary and Jay Sekulow serve as officers (with six-figure compensation) of both ACLJ and CASE, but the respective organizations’ Form 990 filings don’t disclose the relationship between the two nonprofits. Interestingly, however, a search on the GuideStar website for either organization retrieves the listings for both organizations. A law firm co-owned by Sekulow, the Constitutional Litigation and Advocacy Group, has been paid more than $25 million by the nonprofits for legal services. Sekulow’s company Regency Productions, which produces his talk radio show, was paid $11.3 million for production services. Sekulow’s brother, Gary, the chief operating officer of the nonprofits, has been paid $9.2 million in salary and benefits. A company run by Gary’s wife, Kim Sekulow, has received $6.2 million since 2000 in fees for media production services and for the lease of a private jet, which it owned jointly with Jay Sekulow’s company, Regency Productions. Jay’s two sons, and Gary’s son and daughter, have also shared at least $1.7 million in compensation for work done for the nonprofit—about $28,000 a year each. There is no question that the family relationships, high compensation, and interconnected nonprofit and for-profit entities associated with Sekulow deserve examination. However, some of the recent investigatory interest may well be politically motivated. The attorneys general of North Carolina and New York, who have announced separate investigations into the telemarketing practices of Sekulow’s charities, are both Democrats, which could make anything associated with Donald Trump a priority target. The financial arrangements between the ACLJ, CASE and all related entities are regularly reviewed by outside independent compensation experts and have been determined to be reasonable. In addition, each entity has annual independent outside audits performed by certified public accounting firms. Further, the IRS has previously conducted audits of the ACLJ and CASE and found them to be in full compliance of all applicable tax laws. In a new publication titled Thriving Cities, a network of 250 community-based organizations in New Jersey outlines their vision for building community and achieving greater economic justice.